No, not a museum of pant’s pockets, a museum, in a window, in a door, in a house, in an alley, in a city, in Switzerland. Yeah, a 2’x 2’ window in the door at 31 Imbergässlein (Ginger Alley) in Basel, Switzerland. Welcome to the Hoosesagg Museeum, which translates to the Pants Pocket Museum in English. There’s no admission fee, but there’s also no admission. 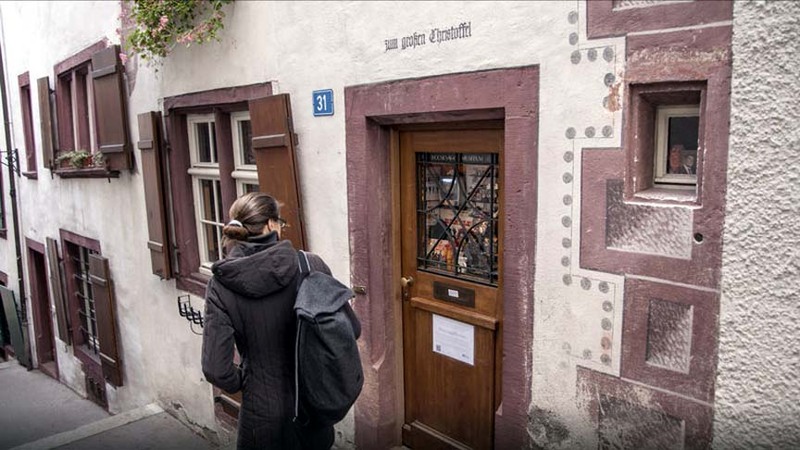 The entire museum is contained within the two-foot-by-two-foot window in the door of Dagmar and Matthias Vergeat’s 600-year-old house, located in a narrow pedestrian alley in Basel’s Old Town. 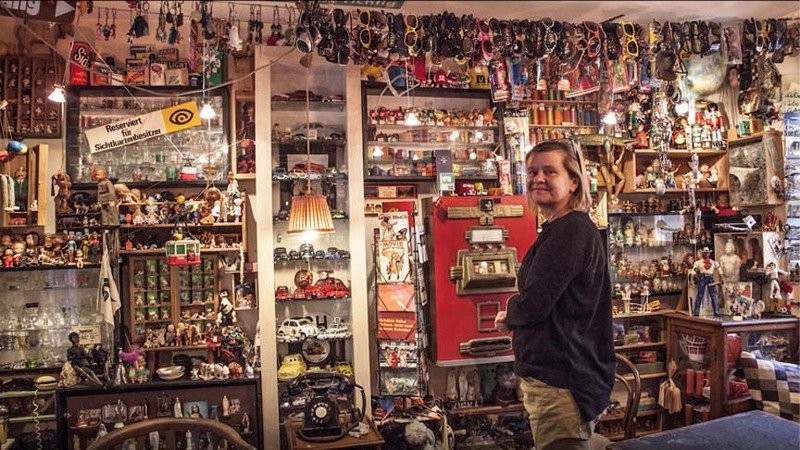 The Vergeats have run what is likely Switzerland’s smallest museum for 24 years. The latest is Eiffel Tower themed, December 2018, was Magi figurines, and before that green knitting needles.